Soma Records new releases – Chain D.L.K. Slam bring together a 2 CD pack containing a selection of their best works over the last 4 years including of original Slam productions and their remixes of artists such as Radio Slave, Josh Wink and Christian Smith. The last couple of years have seen Slam consistently rated in the Beatport top 10s with their original material, which has also garnered huge support from all manner of DJs and producers around the world. 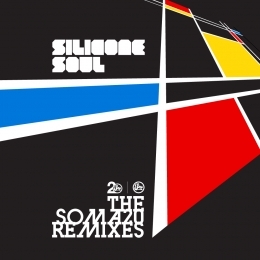 Soma stalwarts Silicone Soul bring us a fantastic remix package to coincide with 20 years of Soma Records. Artists ranging from Matthias Tanzmann, Matt Tolfrey, Maetrik, Ripperton & Hatikvah take on favourites from Silicone Soul’s back catalogue along with tracks from their most recent, self titled studio album. 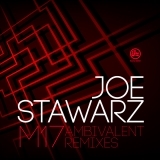 Australian Joe Stawarz drops his third solo EP this week on Soma, complete with remixes from Minus superstar, Ambivalent who makes this his first direct involvement with the label. This Ep has been a favourite of ours here at SomaHQ with Joe delivering two very refined tracks in M17 & Grundymoth. Ambivalent turns in very unique remixes of M17, adding his own hypnotic, tripping feel to the track, ensuring dance floor pleasure for all! 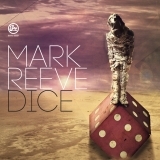 In May we welcome Mark Reeve to Soma with his first solo EP, Dice. Having previously released alongside Pig&Dan on the Origami EP, Mark steps up on his own with 2 dance floor decimators. Title track Dice kicks off the release with stuttered vocal stabs and intense rolling drum patterns leading perfectly into the sonically brilliant Arena. Expect great things from this new artist! 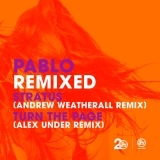 The wonderfully eclectic and idiosyncratic sounds of Pablo have recently been remixed by Spanish techno wizard Alex Under and the equally eclectic Andrew Weatherall. Alex provides the more dance floor orientated version of Turn The Page, chopping up the original track’s vocals to add extra rhythm and bounce to his interpretation. Andrew Weatherall’s version of Stratus takes the original to new heights in a way that only Mr Weatherall can. a definite favourite of ours! !